1 Fr. McWey Street, Edenderry, Co. Offaly. 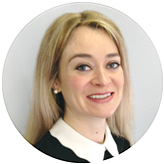 Our solicitors are experienced and knowledgeable and our staff are friendly and approachable and will deal with your issues in a sensitive and professional manner. 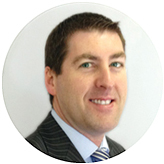 Marc is a Galway native and qualified as a solicitor in 2003. He holds B. Corp. Law (Hons) and LL.B. (Hons) degrees from NUI Galway and a LLM in Computers and Law (Hons) Masters degree from Queens University Belfast.